I have a confession to make: I really love peeping into people’s windows. Is it bad? I mean the majority of people look down or straight ahead when they walk, right? I like looking up. 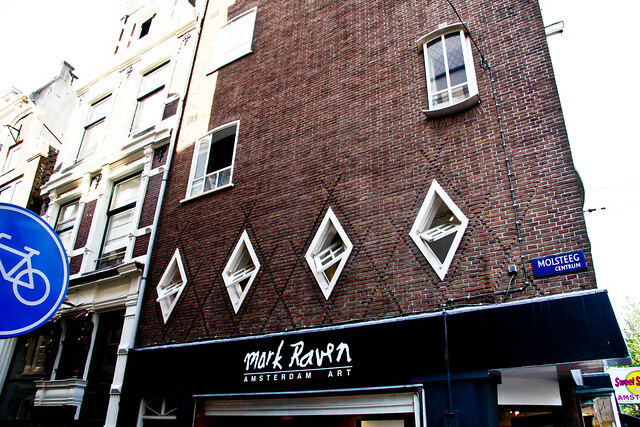 Here are a few of the great windows of Amsterdam I spied during the city tour. 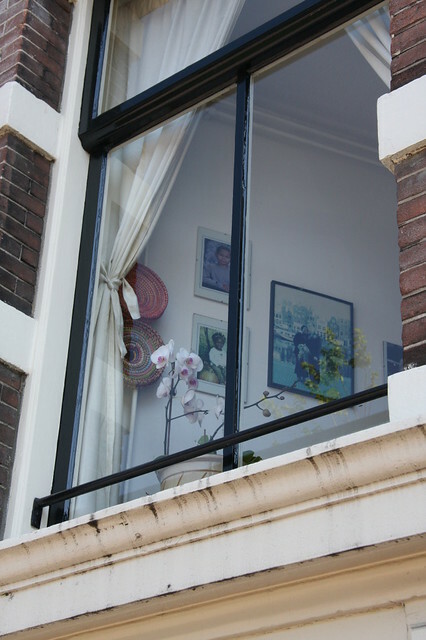 The windows of Amsterdam are quite amazing – you get all the varieties of styles and shapes. 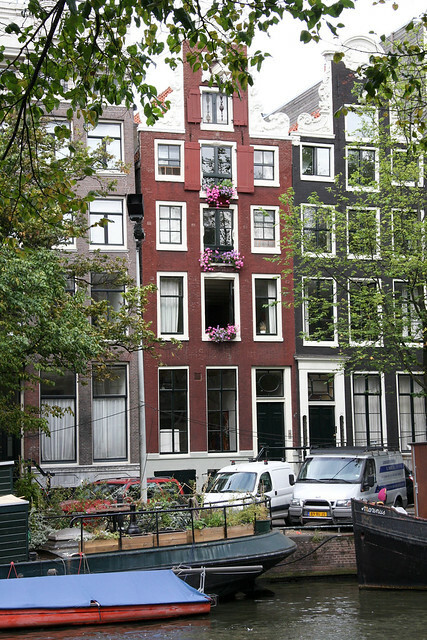 The reason for that is probably because the government owns all the facades of Amsterdam buildings, so nobody can to alter them. 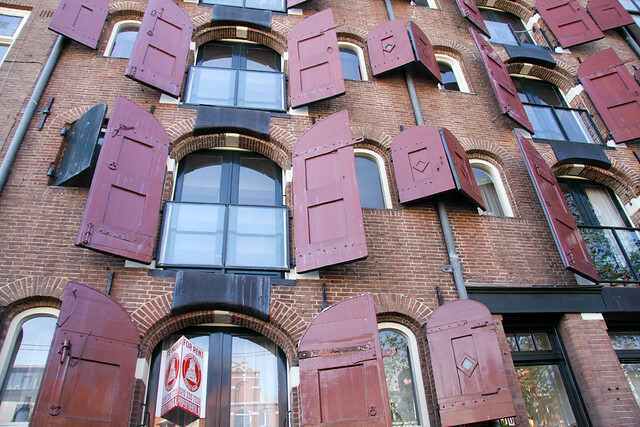 You can do anything you like to the interior, but the exterior has to stay the way it was originally designed. Taking my hat off with admiration. And of course flowers. Flowers everywhere.